Can we talk about a bucket list? Do you have one? Since I’m approaching 30 (a milestone – if you will), I decided to write down a list of things I would like to see/ do before then. I know, a classic move! Most of my list is definitely travel related and more specifically, it evolves around nature. In today’s post I’m sharing the first thing I was able to check off the list. 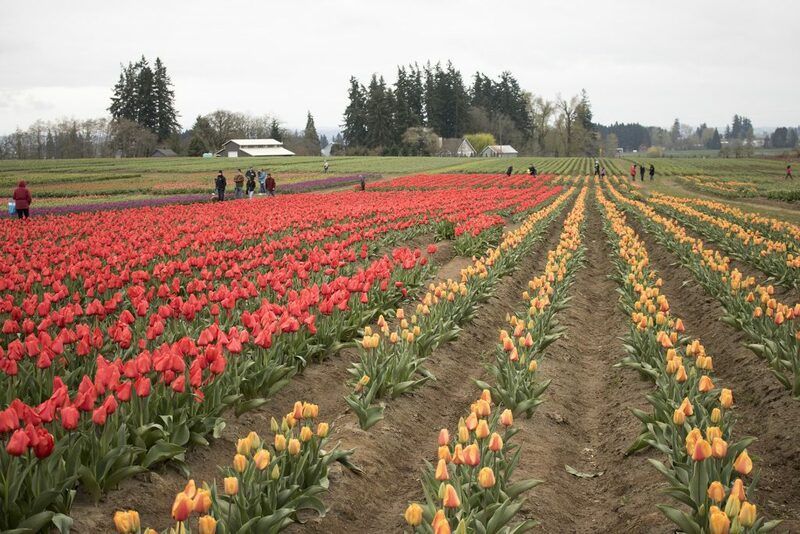 Welcome to the tulip festival! 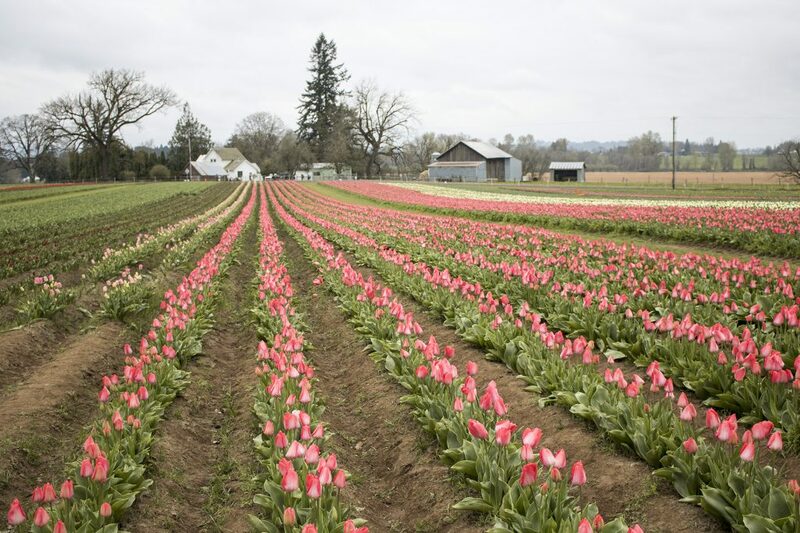 If you wonder when is the best time to visit the tulip farm, you should plan your trip between late March and early May. 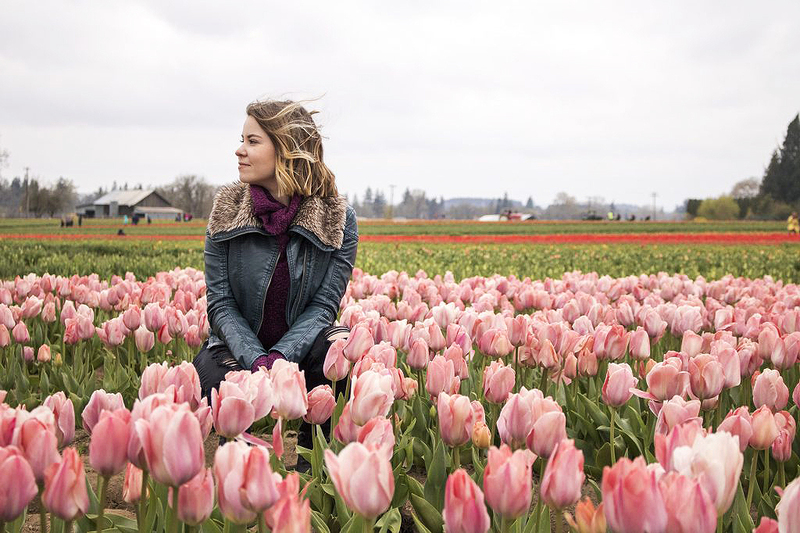 The Wooden Shoe Tulip Festival that we got to see in Woodburn (OR) runs from March 23rd until May 6th, so you still have a good week to stop by! 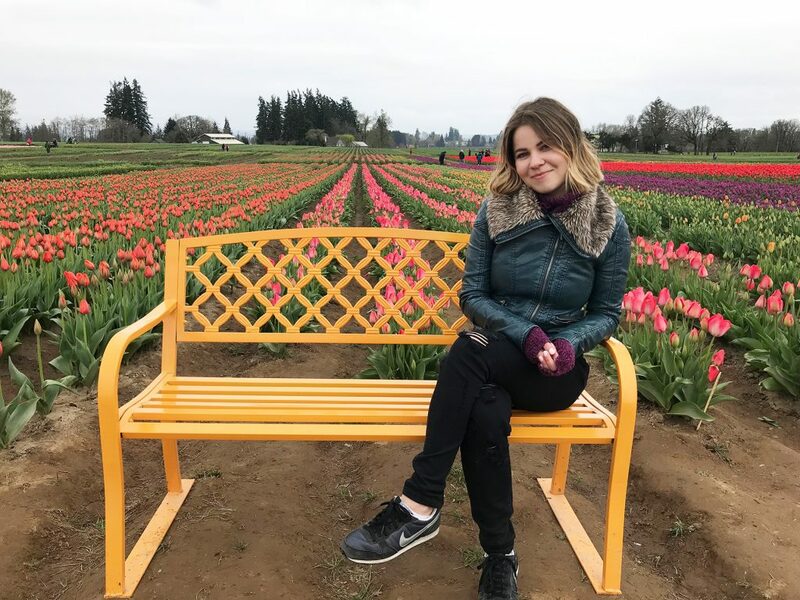 As you can probably tell from the photos, the Oregon weather in early April was quite chilly but it didn’t stop us from enjoying this stunning farm. 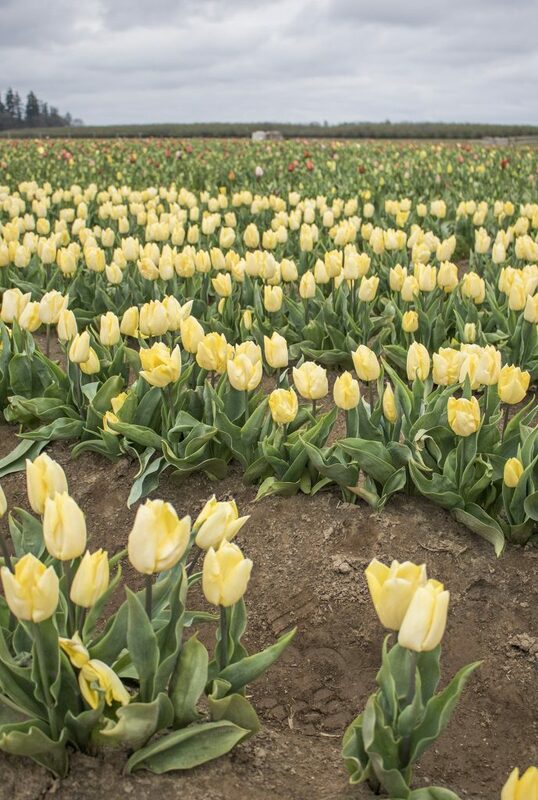 40 acres of beauty! What’s on your bucket list? 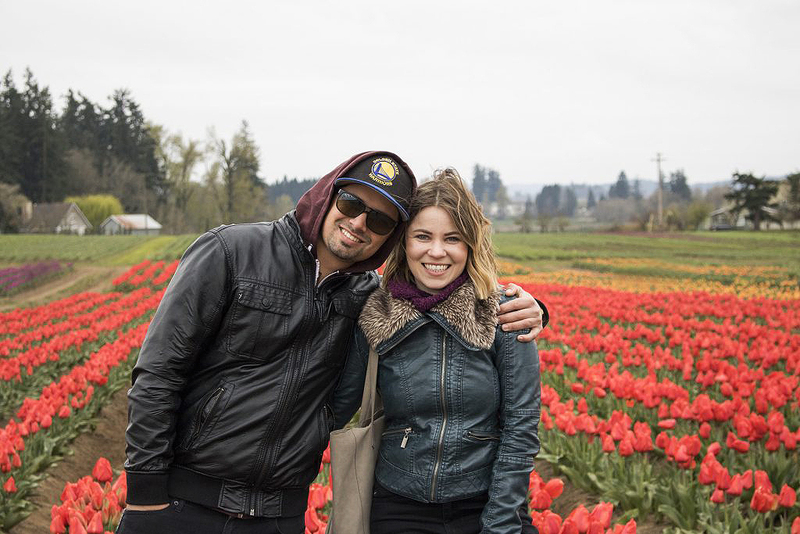 Have you ever been to a tulip festival? This is sooo lovely! 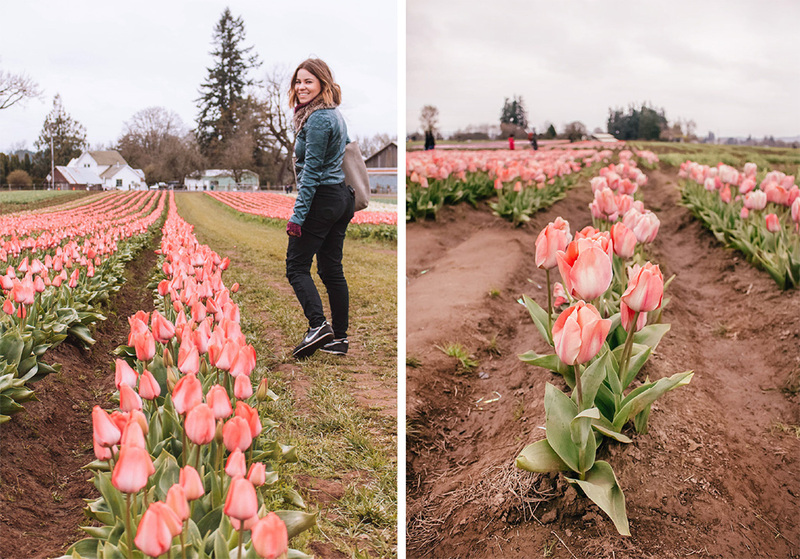 I’ve always wanted to visit a tulip garden and have a bunch of photos with the lovely flowers! Such a gorgeous venue!! def need to visit! ps. What a beautiful pic together <3 Me gusta! Well, who knows – Europe might be sort of the same distance from Florida! 😛 Either way, it’s a must see! 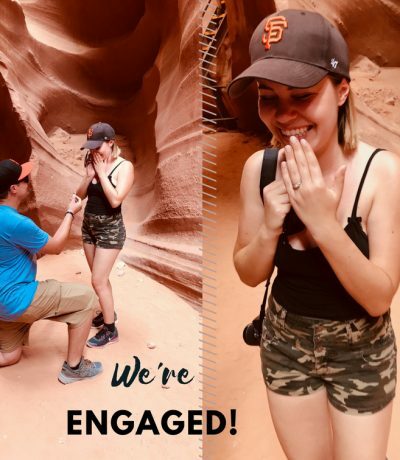 <3 thanks for stopping by, Kasia! I recently added this on my bucket list. I love at how beautiful it is and I just want to see it in person! Love your jacket! It looks so comfy! These fields are beautiful! I really want to do this at some point!